Recording artist Chris Mann returned to Kansas City for an incredible homecoming concert at the Midland by AMC. He opened the concert with his brand-new single: “Unless You Mean It” that contained spellbinding vocals and set the mood for the 90-minute show. Next, Chris performed his cover of Coldplay’s “Viva La Vida,” a song that he not only recorded for his debut album, Roads, but also performed on the sophomore season of The Voice. “Viva La Vida” showcased Chris’s storytelling ability through song and his cover would make Chris Martin and the rest of Coldplay very proud of him. For his third song, Chris transformed the Grammy-winning country song “Need You Know” into a powerful, haunting octave-leaping masterpiece. During his first conversation with his audience, the Wichita native discussed his first time at the Midland. Chris stated that he was there attending a Brian McKnight concert with his friend and how they snuck backstage and met the multi-Grammy nominee. After sharing that story, he told the concertgoers about his time in Nashville and how he started writing songs and introduced “Falling,” a song he co-penned with Liz Rose and Keith Thomas. “Falling” had wonderful lyrics and it was great to hear Chris’ operatic vocal range on this song. He next performed one of his all-time favorite songs. 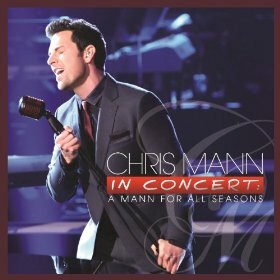 Chris recorded “On a Night Like This” four different times in his career and he always fought to have this song on his EPs and albums. One of the best surprises of the night was when Chris performed Simon and Garfunkel’s “The Sound of Silence.” This was a stunning vocal performance and it was definitely a highlight of the night. The best performance of the night was his beautiful cover of Leonard Cohen’s signature song: “Hallelujah.” Watching Chris perform his haunting version of this rock anthem was like watching a Master’s Class in music. In addition to singing, he also showcased his brilliant piano playing on several tracks, before tackling a bilingual version of Willie Nelson’s “Always On My Mind,” which he will be recording with Mexican recording artist Paty Cantu. Another highlight of the night was “The Blower’s Daughter.” While Chris teased his audience and said that Christina Aguilera would make an appearance at the concert (unfortunately, she could not make it. ), her pre-recorded vocals blended well with Chris’s as their superb sound bounced off the walls of the Midland Theatre.